A customer dashboard lets you easily gather and visualize customer data from multiple channels for your online store or ecommerce site, so that you can get a better understanding of your customer base, and gain insights into your customers' expectations. There's a lot that goes into building a successful online business: social media, getting new customers, optimizing the customer experience, ensuring customer retention - the list goes on. It's important for online and ecommerce businesses to be able to track the relevant KPIs from multiple platforms. Here's what a customer dashboard entails! What is a customer dashboard? A customer dashboard allows you to track how your online business or ecommerce store is performing and demonstrate the value of your online marketing efforts for the business. If you're using multiple marketing channels (which you probably are) you'll be able to link them to a single dashboard so you'll have all your important KPIs in one spot. Why use a customer dashboard? A customer dashboard will give you a real-time overview of your customers' actions on your website. This data will let you find out who your important customers are, make informed decisions about your marketing efforts, measure the success of your business, and prevent poor customer satisfaction. What are the benefits of using a customer dashboard? Aside from having all your key performance indicators in one spot, a customer dashboard will save you time; creating reports on a monthly basis, for example, will be a breeze because the relevant data will be automatically fetched for you. We also do the data visualization for you. No more plugging numbers into Excel! Create your own customer dashboard today! What are the best customer dashboard KPIs? Tracking the right metrics is the key to a successful customer dashboard. A good dashboard is going to include the metrics that provide you with just enough information to understand what visitors to your online store are doing, without overwhelming you with details. 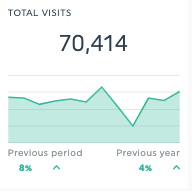 Visits is the total amount of times people have gone to your website. Unique visitors tells you how many individuals have visited your website. 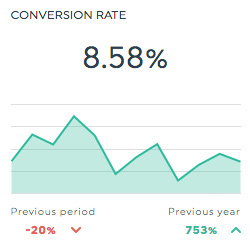 Conversion rate is the percentage of your website’s visitors who take a desired action, such as starting a free trial, purchasing a product, filling out customer surveys, or other. 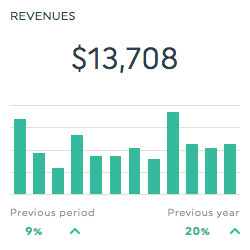 Total revenue is the amount of money that has been made from sales on your website. You can also break down this metric and track revenue per transaction or revenue per visit. 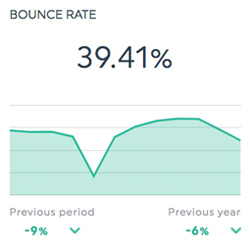 Bounce rate is the percentage of visitors who land on your website, but leave before navigating to a second page within your website. What are the top customer dashboard metrics? You're probably tracking metrics across multiple channels, and it's important focus on those key customer service metrics that you can act on - try not to focus on 'vanity metrics'. This metric shows you the percentage of first time visitors to your website and the percentage of visitors who have previously visited your website. This metric shows the average number of pages people have viewed during a visit to your website. This metric tells you the total number of conversions, or goal completions, for your website. See all these KPIs and metrics in your very own customer dashboard! What platforms should a customer dashboard include? A good customer dashboard will include all the channels you're using to measure your website's performance and track your marketing efforts. Setting up your dashboard this way will let you understand how your marketing and sales channels are working together. DashThis' digital marketing dashboard sample gets your sales and marketing team off to a running start. It includes preset KPIs, multiple available data sources, and easy-to-use features. Whether you choose from among our preselected customer dashboard templates, or create your own from scratch; it's all a matter of dragging-and-dropping the KPIs you want! 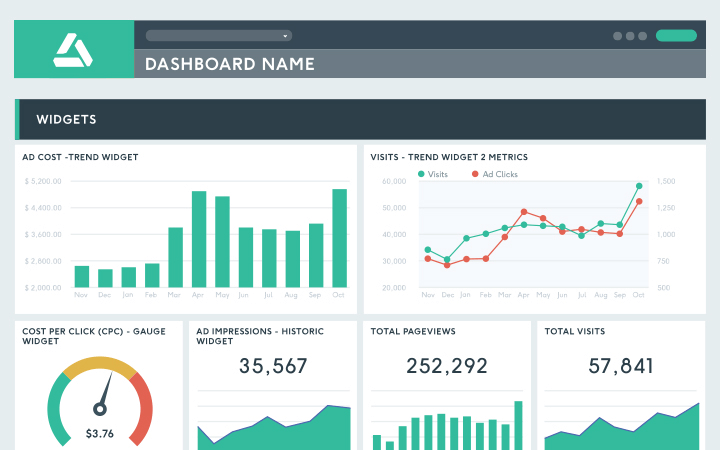 It's your data - customize your dashboard to reflect your branding. Get reports done on time, so you can spend more time closing potential customers with our monthly sales report dashboard. You can also choose another time period, such as weekly or yearly. Digital marketing without measuring, reporting, and analyzing is like flying blind! Get tricks of the trade from our team to create the best customer dashboards that your team and your clients can use regularly to create better campaigns and marketing strategies!